Omsk-based photographer Igor Gavar is traveling to cities across Russia and discovering street fashion. He takes photos of people on the streets, interviews them and publishes the highlights on his site. 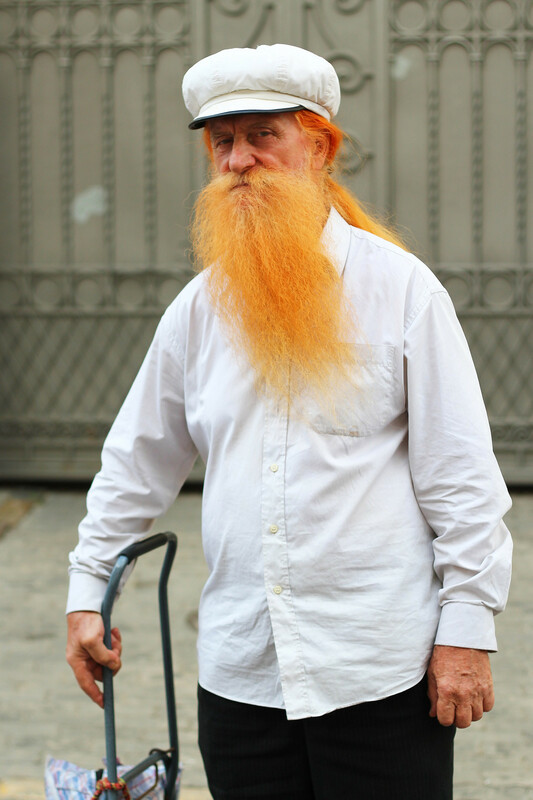 Nothing extraordinary, really – except for the fact that most of his 'models' are older than 70. 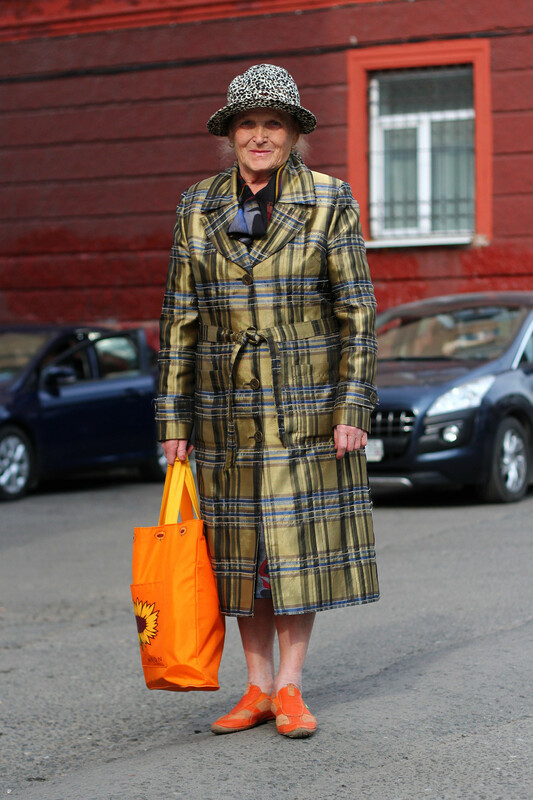 Check out our pick of some of Russia’s most fashionable pensioners, who can teach a thing or two to fashionistas of all ages. I'm actually considered a disabled person – I've suffered broken legs in one accident and undergone three surgeries. My doctor told me I would not be able to walk without crutches. 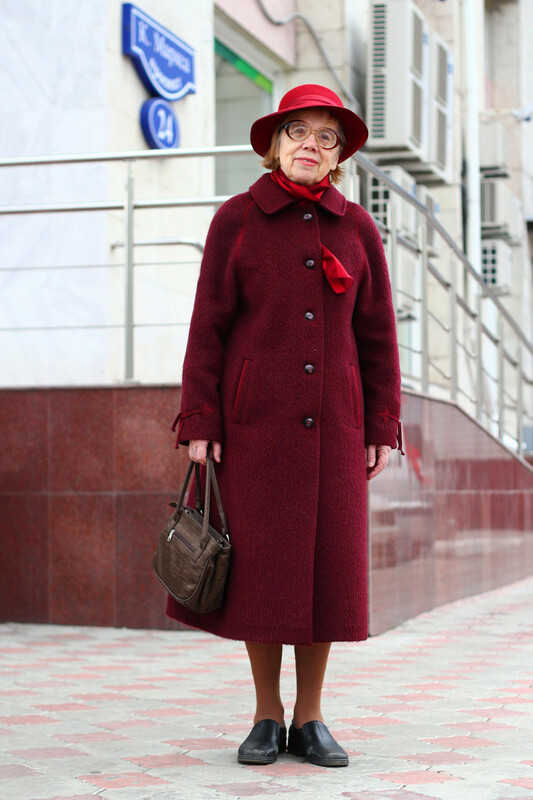 But I've surprised him – I walk without a stick, wear heels and I even dance. I managed to convince myself I simply have to walk, to move. 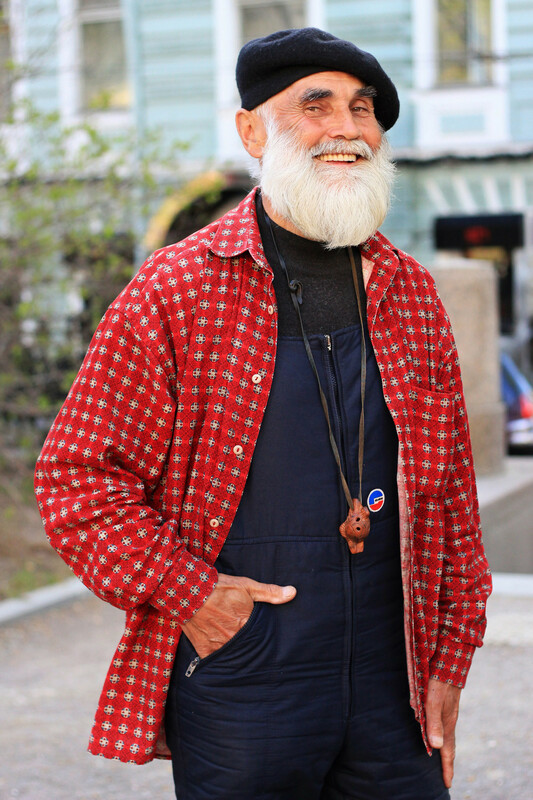 As for the clothing, I don't really need new threads – I mostly wear the things I have, since I've accumulated a significant stock over the years. If I need to buy something, I usually go to a flea market or a second-hand store. I have published around 40 articles on physics, and I'd be very glad if at least 30 people read them and at least three of them actually understand the things I write about. But apart from that, I’ve also written about 100 articles on knitting for various magazines. 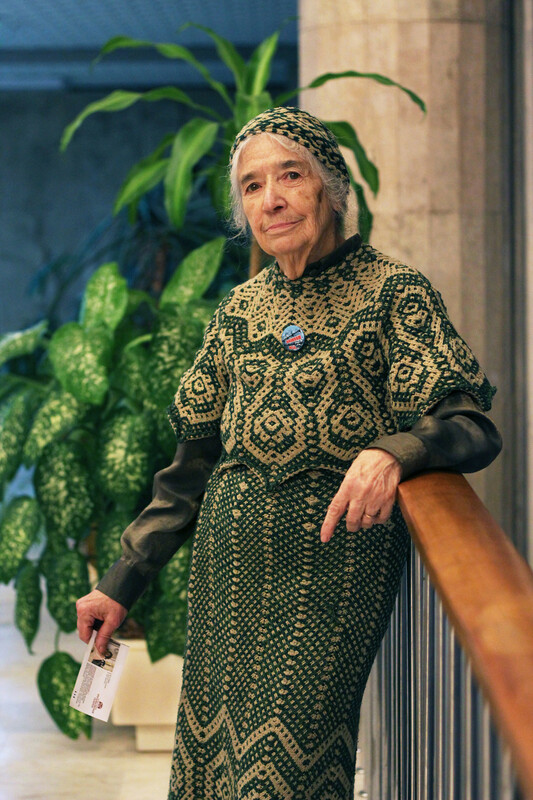 I've knitted this suit as an homage to my father who was a political prisoner. In 2013 I went to see the prison where my dad served his term and while on my way there, I knitted this suit. My father was imprisoned in the late 1930s; he was a lawyer, quite a well-known one in fact. He was accused of spreading propaganda against the Soviet authorities. During the Soviet era, I worked as a mural painter – I made murals for marriage registration halls, community centers and other institutions. At the time, artists were in high esteem by the state, and one could make good money this way. Some of my ceramics are stored in the holdings of the Russian Museum. 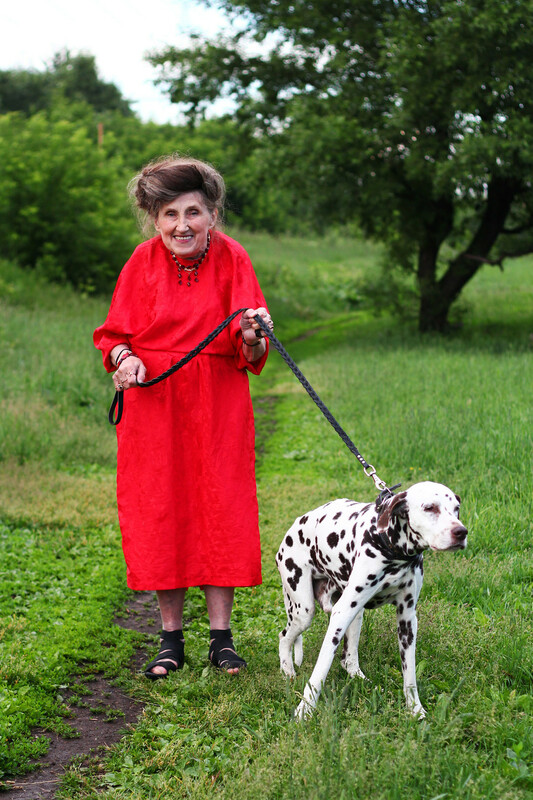 It is often believed that an elderly person is supposed to have a certain look. But there are no such rules, in fact, and if there are, these exist only in your head. You should dress the way you like. 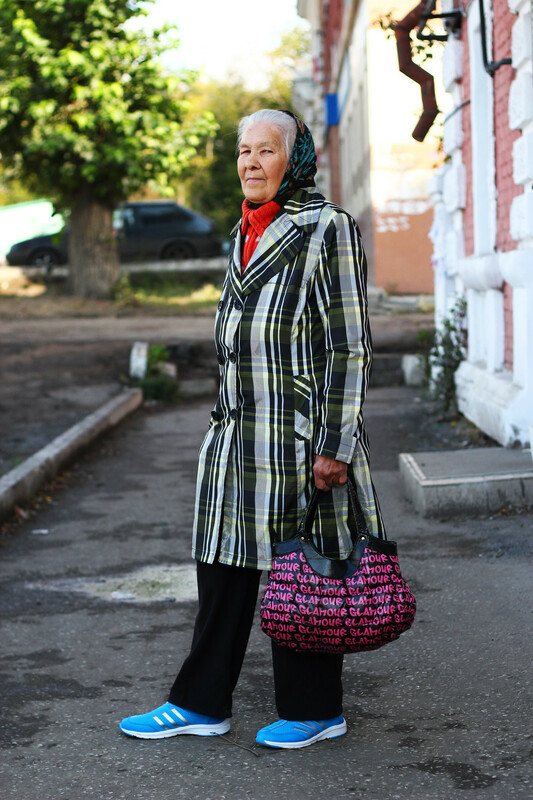 The coat and the bag are presents from one of my granddaughters, and the sneakers I bought myself with the help of my other granddaughter. This is my third pair, and they are really comfy. My first sneakers were white, and I wore them for four years. My peers do not understand how I can wear those shoes; they even laugh at me and tell me I look like some kind of boxer. I keep telling them that they are very practical for our elderly feet. I'm returning from an art show – I went there to get my cross-stitch embroidery framed. Despite my poor eyesight, I love working diligently on different things – I like knitting with a crochet hook and needles, and I also want to master beading. When I was young, I was a keen skier and I preferred sportswear. With age, I began to stick to the classics, mostly formal and elegant wear. 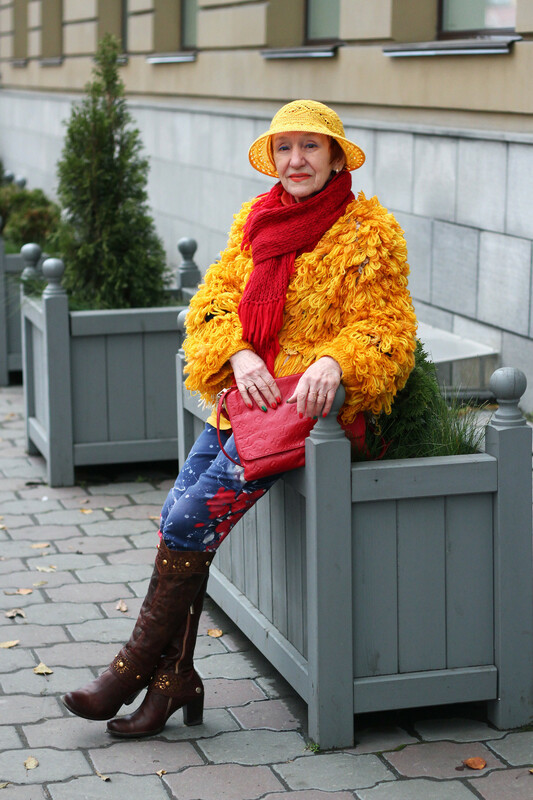 And by all means, you've got to dress with care and do your hair regardless of whether you are 20 or 80 years old. I've had a lot of jobs – I was a spinner, a government worker, an engineer for a textile factory, then a baker. 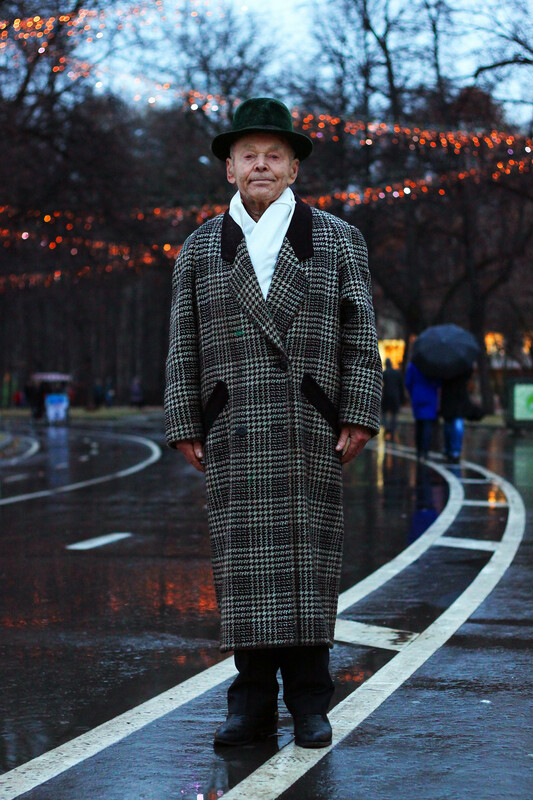 When I was 60, I was noticed by a casting director during a trip on the Moscow subway, and he invited me to an audition. Eventually, I got the role of the main character's grandmother in the Russian TV production of Rusalochka(The Little Mermaid). To date, I have performed in 107 films [and TV productions]. I've got a lot of outfits and I often wear them when performing – directors love them. Sometimes I get clothes as gifts from film crews. Everything I'm wearing now has been given to me as presents by my neighbors – I don't even buy anything. My doctor told me I have to move more, and moving to music is more fun, so three times a week I go to the park to dance. I don't shop for clothing too often, I mostly get it as presents from my kids and grandchildren. Some of it I give away to those in need in the Kostroma Region, my native land. Generally speaking, it's much easier to get clothes nowadays. When I was young, I had just one dress for all occasions. I washed it every Wednesday and Saturday. A lot of people ask me questions about my hair. Well, I don't dye it, this shade of red is congenital.